Running from her tumultuous past, Elektra attempts to lose herself in a vibrant sea of neon, noise and anonymity: the gambler's paradise Las Vegas! 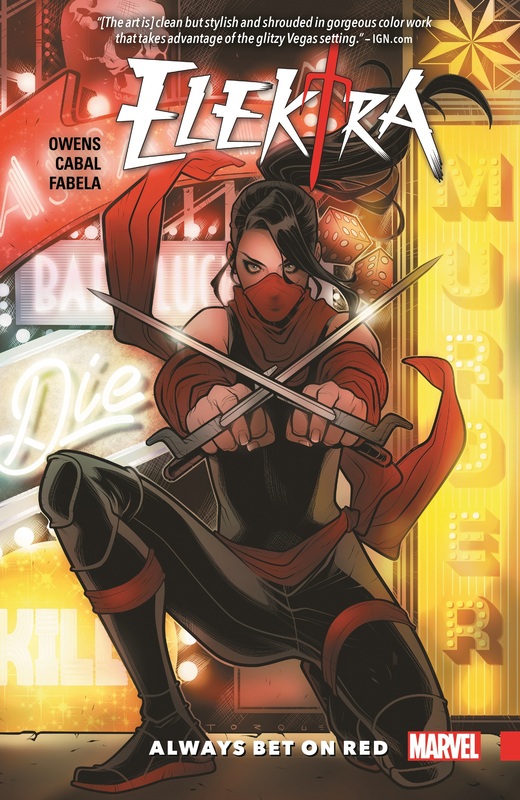 But how long can a former ninja assassin really hope to escape the vortex of violence that encompasses her life, especially when there's a new would-be kingpin in Sin City who has her in his crosshairs? Enter: Arcade! 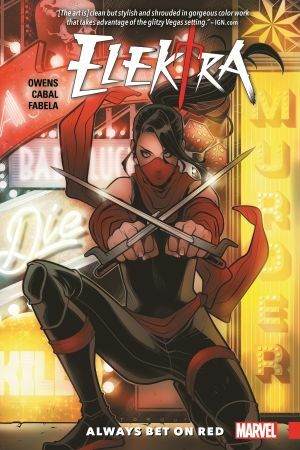 A string of clues - including high-tech weaponry, kidnappings and assassins - will lead Elektra to a game of chance more deadly than she ever expected. But she hasn't forgotten her past, or any of the skills she's learned - and Arcade will find out she's more than ready for a Casino Battle Royale! If you know Elektra, you know to always bet on red! 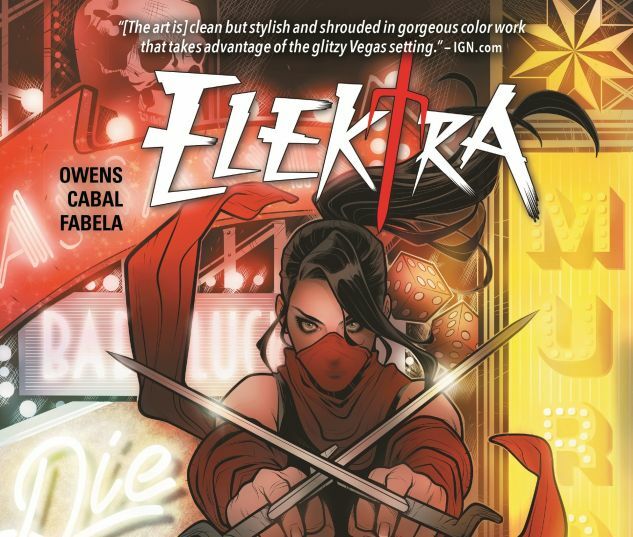 Collecting ELEKTRA (2017) #1-5.